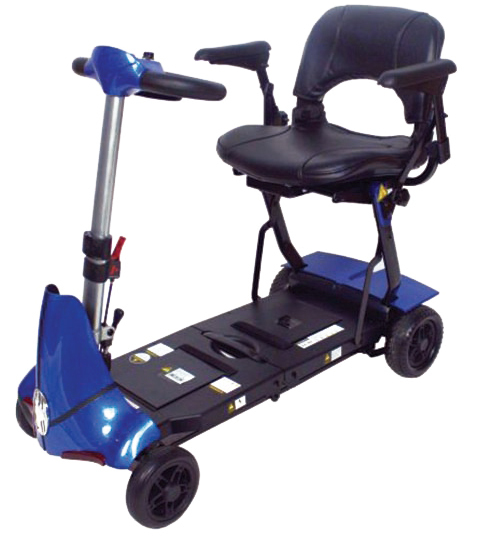 The Genie Plus automatic folding electric travel scooter is one of themost advanced portable travel scooter on the market. 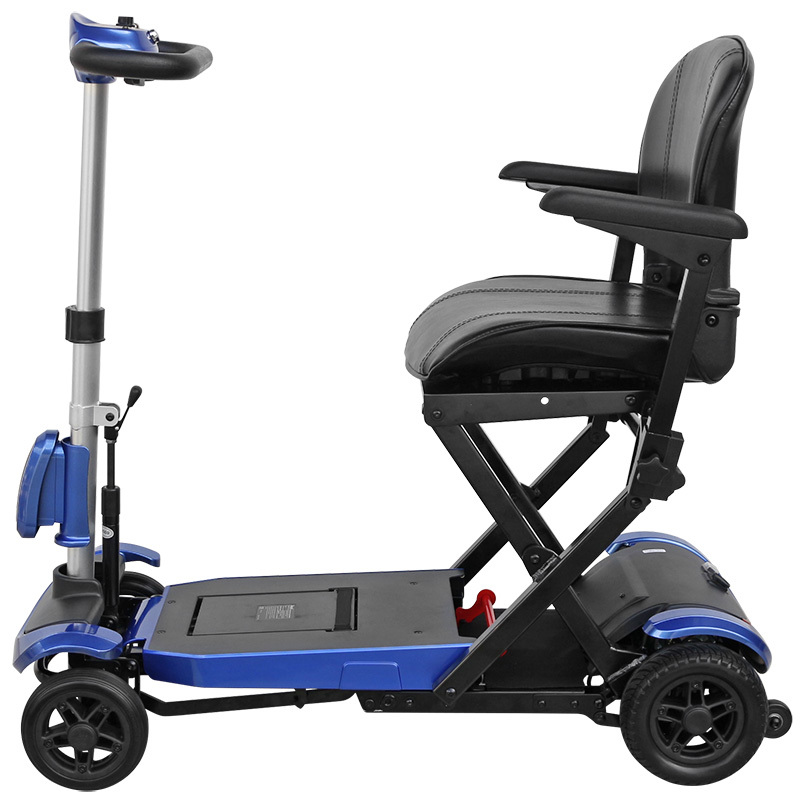 Equipped with many of the features of the manual folding Mobie Plus electric travelscooter, the Solax Genie Plus takes to travel to the next level. 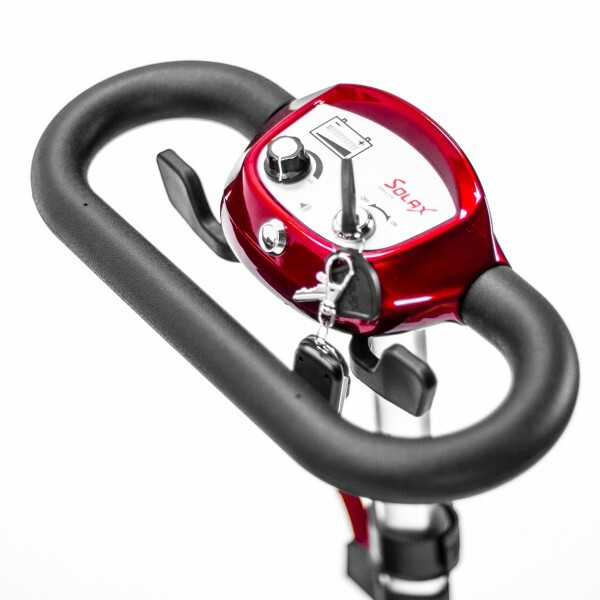 The Solax Genie+ travel-scooter folds in seconds at the push of a button. That's right! There's no manual-folding with this model! Stand back and relax while you're Genie automatically folds itself in seconds. Featuring plane safe lithium batteries and weighing just over 24kg including batteries - holidays have never been so easy! 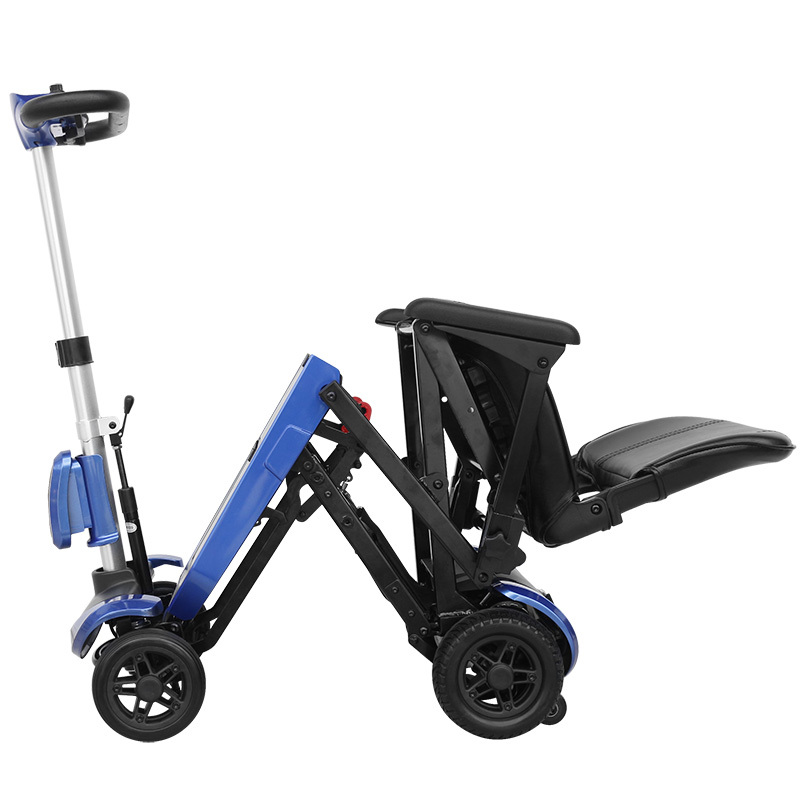 Do you love the idea of a folding travel scooter, but struggle with the weight, have a look at the newest scooter in the Solax Travel family - The Solax Maleta. 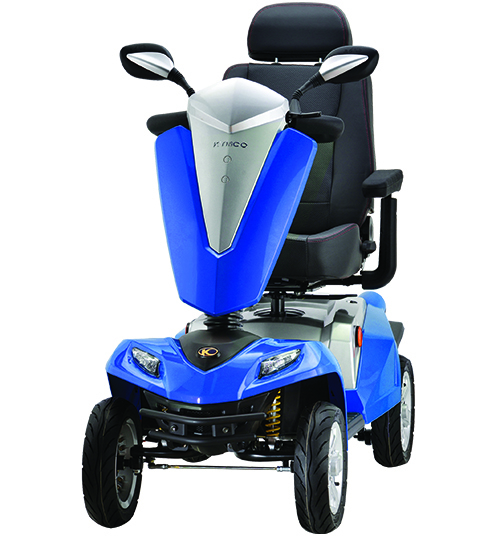 The Genie Plus is more than just an automatic folding scooter. 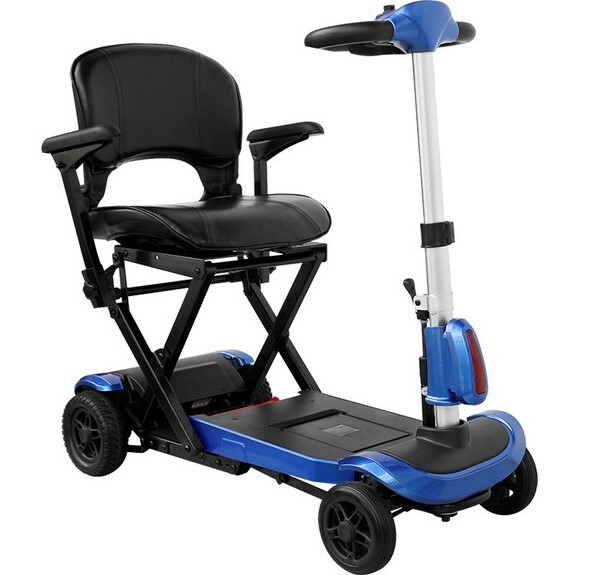 This travel-scooter has been built with 3 different folding options, to make sure it doesn't get stuck. 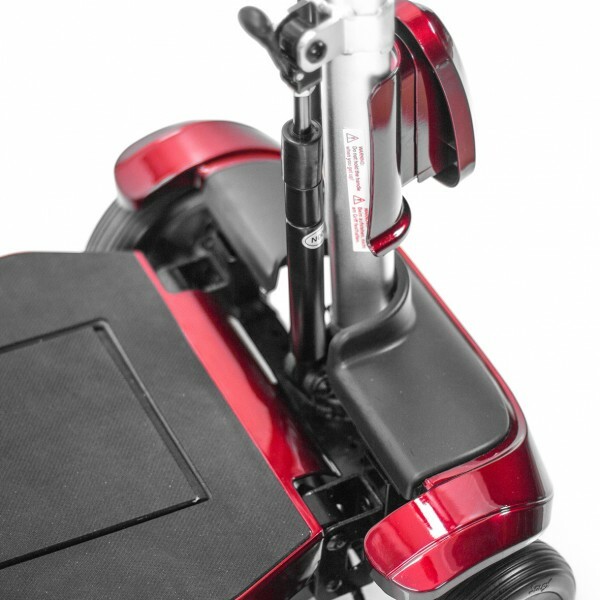 Just in case you may replace you remote, there are also two buttons on the rear of the scooter to use the automatic folding function without the remote control. 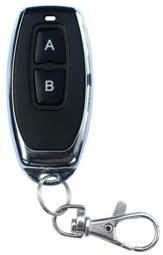 If you need to remove the battery for travel or have run out of battery, there is also a manual folding function. 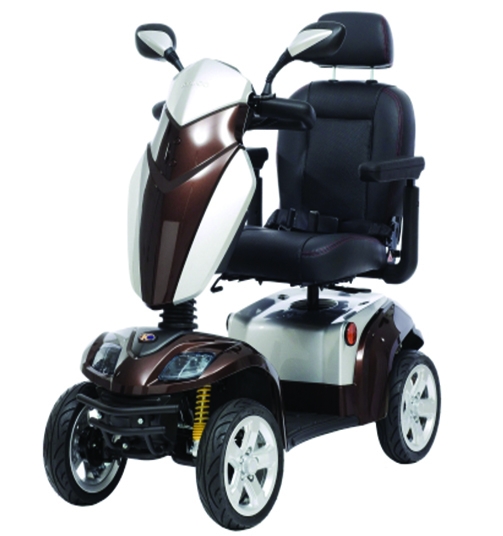 Merely lift the centre rod in the scooter base and collapse the scooter for folding without using the battery! Jump on a plane and drive down the California waterfront, or have coffee in Paris! The world is your oyster with the Genie+ Automatic Folding Travel Scooter! Want a bit more versatility? 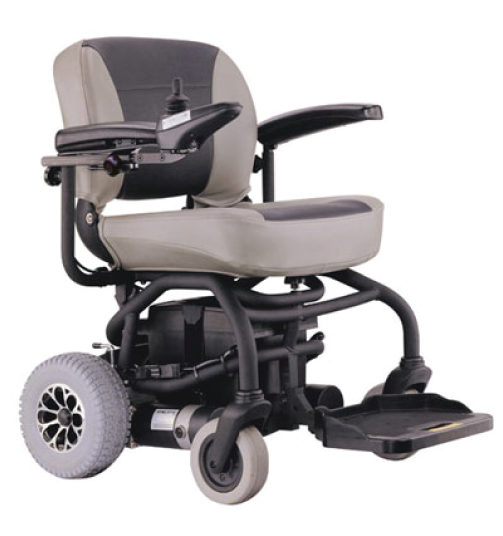 The Genie Plus is also an ideal choice for cruise ships and shopping centres. 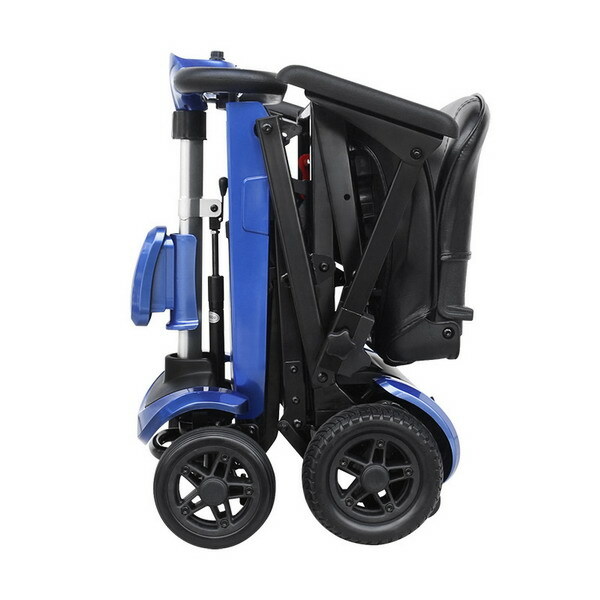 It folds to a compact size making it easy to transport in the boot and go shopping or on family trips.